Home » Cruise Ship Reviews » Accessible Cruise Trips for All - What Do You Need to Know? Accessible Cruise Trips for All - What Do You Need to Know? One of the best vacations for persons with physical restrictions is a cruise vacation. Many major cruise lines offer accessible travel for persons with limited mobility. From the port to the staterooms and everything in between, each element of the ship is accessible for persons with special needs. 1. Call ahead - check on the special needs provider for equipment rental, way before your trip, that you may require for you or your senior family member. This gives them a margin to prepare and arrange for the equipment on time - wheelchairs, electric scooters, oxygen equipment, beds, walking aides, etc. 2. Be Clear - clearly mention and specify your needs to the service provider to ensure you get the right kind of equipment and the preferred size (e.g. electric mobility scooters are available in different sizes). 3. Stock up on Meds - take extra medicines on board, you don't want to miss a dose in case there is a diversion and the trip takes longer than the arrival time to reach the destination port. 4. Special Rooms - when booking your cruise, make sure you ask for rooms that are accessible easily for persons with special needs. Also, they should be large enough so you can easily maneuver using your electric scooter or wheelchair. 1. Accessible travel agent - find travel agents who can arrange travel trips for people with disability. Since they have experience with making arrangements for disabled persons of all age groups, they can suggest the best one for you and your child with special needs. 2. 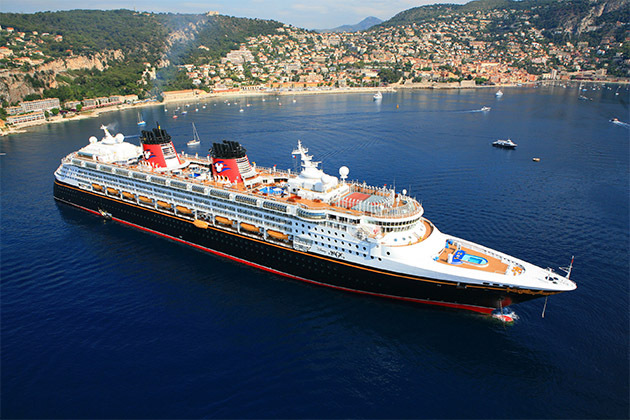 Look for bigger ships - when choosing accessible cruises, make sure you choose new ones and bigger ones since they have more facilities; spacious doorways, roll in showers, open theaters, easy pool entrances, etc. 3. Service dogs - if you have a service dog for you or your loved one, make sure you check with the cruise line if they accept them on board. All major cruise lines do accept, but it's always good to check. You may have to get the service dog vaccinated and keep the documents at hand before booking your trip. Knowing the details and requirements before planning accessible travel can make travelling enjoyable for both the disabled person and their loved ones. Special Needs at Sea understand the needs of people with physical restrictions or disabilities and thus provides on board special needs equipment to help such people become independent, confident and relaxed. Related : Accessible Cruise Trips for All - What Do You Need to Know?